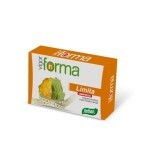 Longvida®: optimized extract of turmeric (Curcuma longa L. – rhizome) titrated to 23% in curcumin (contains soy lecithin), dry extract of ginger (Zingiber officinale Roscoe – rhizome), titrated to 1% in gingerols, inositol, Boswellin® Super: patented extract of Boswellia (Boswellia serrata Roxb. – gum resin) titrated to 50% in boswellic acids and 30% in AKBA *, vitamin C (L-ascorbic acid), bromelain, anti-caking agents (magnesium stearate, dioxide silicon), vitamin E (DL-alpha-tocopheryl acetate). 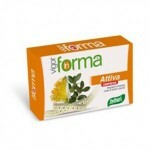 Turmeric, boswellia and ginger help maintain the flexibility and well-being of bones and joints. Vitamin C contributes to the reduction of fatigue, to the normal formation of collagen for the correct function of bones and cartilages. 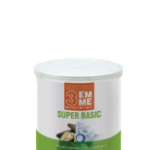 Together with vitamin E they contribute to the protection of cells from oxidative stress. 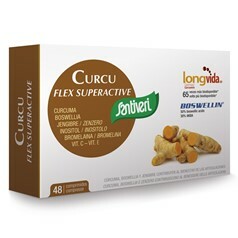 Curcuma Longvida® (optimized extract of turmeric – 23% curcumin) 400 mg, Curcumin 80 mg, Dry extract of Ginger (titrated to 1% in gingerols) 400mg, Gingerols 4 mg, Inositol 300 mg, Boswellin® Super – Dry extract of Boswellia (titrated to 50% ac.boswellici and 30% to AKBA *) 120 mg, Boswellic acids 60 mg, AKBA 36 mg, Bromelain 75 mg, Vitamin C 80 mg (100% VNR), Vitamin E 12 mg (100% VNR ). 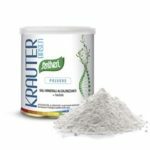 Categories: Bones , joints , aches and headaches, headache, antiinflammatory, painkillers, joint problems and cartilaginous, Osteoporosis and bone fragility. 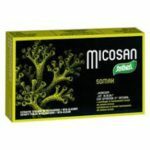 Tags: articolazioni, boswellia, bromelina, cartilagini, curcuma, formazione del collagene, ibersan, ossa, riduzione dell’affaticamento, santiveri, stress ossidativo, vitamina E, zenzero.